Who Do We Worked With? Pretty much anyone in the Winery eCommerce Landscape...and beyond. As a Freelance Agency, we get along with everyone. Or try to anyways. Being able to work with a number of platforms gives us a quique advantage. After hearing what your needs actually are, we can help you decide which platform best suits your needs, and budget. Unlike sales people, we're more interested in getting you connected with the platform best suited for you without having to "close the deal." We know what works and what doesn't. We can marry, as closely as possible or as little or as much as you want with your brand look and feel, including navigation, or not. 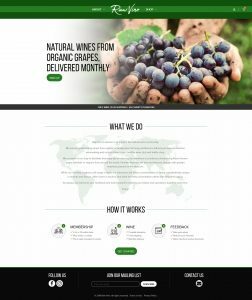 We can marry you to Wine Direct, Commerce7, Shopify or even Godaddy Web Cart if thats what you use. It really doesn't matter to us. 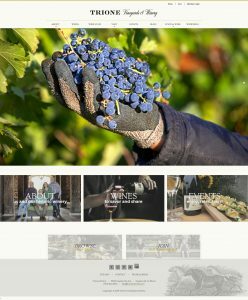 Trione Vineyards and Winery is a custom-built WordPress site, designed and deployed by Wine and the Web. eCommerce is Wine Direct.